After many years of leadership in the work of the International Fellowship of Evangelical Students. Dr. Martyn Lloyd-Jones became deeply concerned with what he believed to be subtle but real shifts in commitment to the biblical gospel. His three addresses at the I.F.E.S. Conference in 1971 drew attention to this. 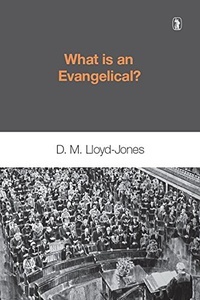 In them he indicated the reasons for his misgivings, gave an exposition of the true nature of evangelicalism and re-emphasized the foundation stones on which it was built. These addresses lay unpublished for almost three decades. Today, thirty years later, much of what Dr. Lloyd-Jones emphasized then reads like a prophecy of the future direction evangelicals would take during the years that followed. His comments are as trenchantly relevant for the twenty-first century as they were for the 1970’s. If anything, his message is all the more urgent.